What do we need to do to deflect an asteroid that's going to hit Earth? It's not very simple and it requires decades of intense study and continued technological development. We're not there yet. The key in detection is to identify the orbit of a potentially hazardous asteroid as soon as possible and well in advance of an impact. Deflection strategies are largely dependent upon lead time. This needs to be on the order of decades, not months…the larger and more massive it is, the more time is needed to deflect it. In order to find an asteroid we have to observe it with a telescope. Typically, this involves pointing a telescope at the sky and taking digital pictures at regular intervals. In an optical telescope, a star and an asteroid look exactly the same. However, anything nearby in our solar system appears to move very fast compared to the background of "fixed" stars which do not appear to move (since they're so far away). Before the days of digital detectors, this involved a lot of luck. You had to be looking at just the right place at just the right time in order to see an asteroid move. Once digital detectors were developed, this process could be automated. Astronomers could take pictures of the same portion of sky at regular intervals of time and be able to detect the location, brightness, and rate of movement with increasing precision. This has led to a massive increase in the rates of asteroid detection in recent decades. So, how do we get from a sequence of pictures of a star-like splotch of light to knowing precisely the orbit that an asteroid takes around the sun? The answer is math...lots of math. Basically, you need a long string of observation points over multiple nights in order to determine an orbit with any accuracy. Once an orbit is calculated, astronomers can determine where it can be observed in the future. If an asteroid's orbit cannot be accurately calculated or observations can no longer be made during the current close pass of Earth (for one reason or another including passing into the sun side of Earth's orbit), then the object has been "lost". If this object is observed again during a subsequent close pass, then it can be "recovered". In addition to calculating an orbit forward in time, astronomers can also calculate this orbit backward in time to see where it was on previous days/years before it was discovered. 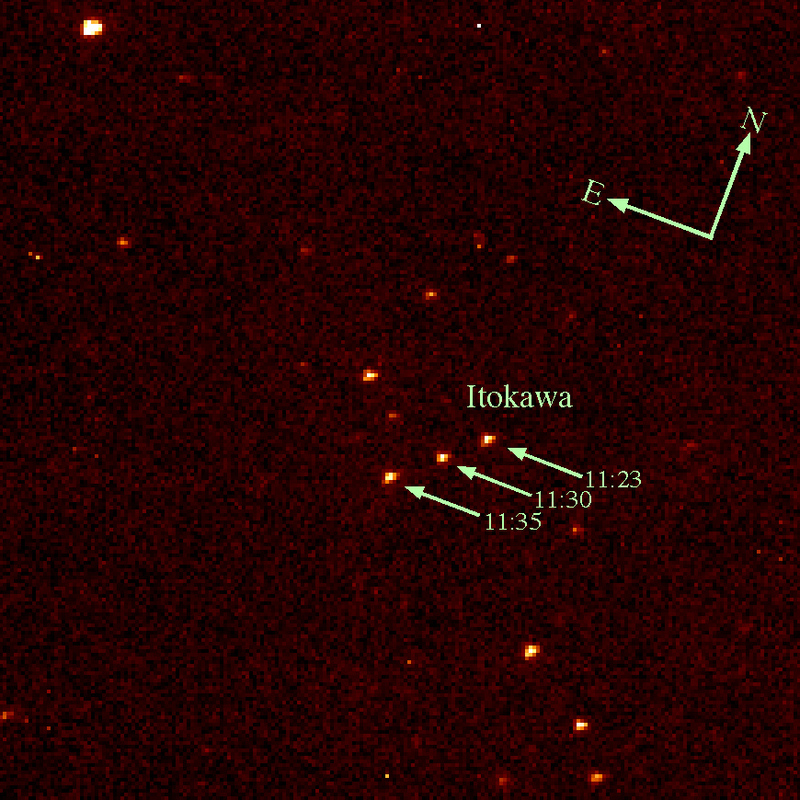 If this previous location corresponds with the field-of-view of any other previous telescope surveys, astronomers will search through that data to see if that object was also present. If so, these previous observations are noted and taken into account when re-calculating the orbit. This is called "precovery" and is very useful for decreasing the orbital uncertainty of an object without having the wait until the object appears again. This process right now is very methodical and automated. At the current pace of discovery, most of the asteroids that may pose an extinction-level threat to us will be discovered by 2020. NASA currently has a mandate to find asteroids that pose a risk of Earth impact. However, the portion of this system that is not yet satisfactory is the early warning detection. Many times an asteroid is only days away from its closest distance to Earth, and sometimes they aren't detected until AFTER they've passed. Most deflection strategies require years of advanced notice, which means we have to greatly increase our detection rate and decrease our margins of error when calculating orbits. It's obvious that we could detect more asteroids by building bigger, more powerful telescopes, but a number of methods and technologies can be combined to increase detection rates by orders of magnitude. One way is observing in the far-infrared or thermal portion of the light spectrum. Since asteroids are faint and don't reflect much light, this means that they are absorbing that light and are very hot compared to the background of space. This shows up very well in the infrared, and when coupled with visible light allows for much better characterization of an asteroid's size and albedo. One of the best ways to characterize an asteroid is by observing it with radar. Radar is about 1000 times more accurate at determining an asteroid's orbit and is useful in very accurately determining size and spin rate as well as being able to calculate a rough model of its shape. The major downside is that there are few powerful radar facilities dedicated to asteroids, and radar observation is typically restricted to objects passing very closely to Earth.